Nepal has reported a confirmed outbreak of severe H5N8 bird flu on a poultry farm in Koshi region, the World Organisation for Animal Health (OIE) said on Monday, citing a report from the Nepalese authorities. The virus killed 3,650 of the 6,200 hens exposed, with the remaining animals culled, the Paris-based OIE said. 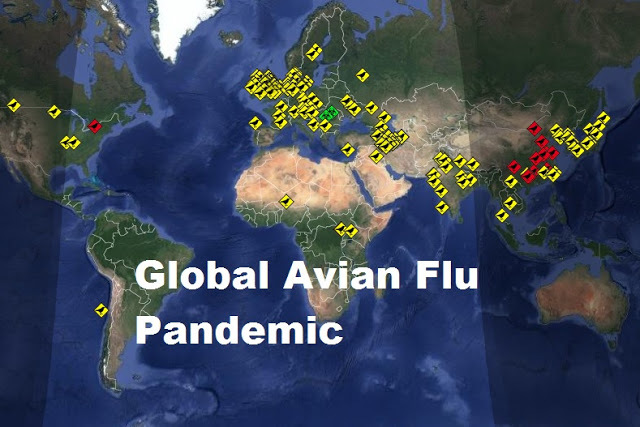 Nepal had already reported last month an outbreak of highly pathogenic H5N1 bird flu among backyard chickens and ducks. Daily reports are coming in from around the world as the avian flu pandemic has now got a foothold in every continent except Australia.